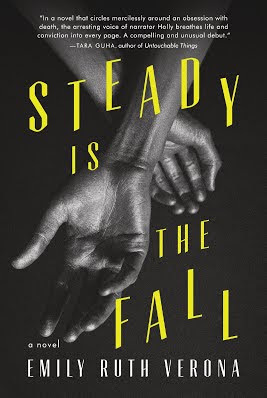 Thank you for joining us on the Virtual Book Tour for Steady is the Fall, a Literary Fiction novel by Emily Ruth Verona (12 November 2015, Black Rose Writing, 204 pages). PREVIEW: Check out the book's synopsis and excerpt below, as well as our Q&A with author Emily Ruth Verona. Read the first chapter with Amazon Look Inside. Share your thoughts with us and the author by commenting on our post. Follow the tour where you will be able to read other excerpts (☀), interviews (ℚ) and reviews (✍). We were in a car accident as children. I was eight at the time and could never remember the details afterwards. My cousin Larry remembered everything, even though he was two years younger than me. It might sound strange that a six-year-old would remember more than an eight-year-old, but it wouldn’t seem odd at all if you knew Larry. Even as the years passed and my memory of the event faded more and more, Larry’s recollection of it only grew stronger. His parents never liked that much. Neither did mine. I was the only one who ever listened with the sort of unease and appreciation that he craved. We’d sit huddled on the sofa in my living room while my mother was out and my father was upstairs. I’d hug a pillow against my chest and he’d sit on his knees, hunched forward with his hands slicing through the air as he described it all in active detail. Larry never called it an accident. Not once. He referred to it instead as an imperfect moment or that time in the truck. Keep in mind this was coming from a boy of six, and then eight, and then fifteen, but Larry was incredibly articulate from the very beginning. Every phrase was deliberate with him—each letter carefully chosen. With such a gift for language and grace as a speaker, my cousin should have been a better storyteller, but he wasn’t. His descriptions were clear, but for some reason Larry couldn’t milk it. He always started at the same spot—when we were in his father’s gray pickup truck, where Larry was seated in the middle between his father and me. Riding in that truck was really something to a couple of kids because it was the only time we didn’t have to sit in the backseat. We felt like proper adults up there in the front with the steering wheel and the dashboard. The cloth interior smelled like motor oil and old takeout. Larry loved that. He found it comforting. Nostalgic. His mother was a health nut, but his father possessed a particular fondness for anything that could be gotten from a drive-thru window. Abandoned hamburger wrappers and soda straws sat in huddled piles at our feet and we just kicked our heels together and smiled with gleaming, crooked teeth. It had been snowing all morning, Larry often explained, with tiny white flakes falling onto the windshield and dissolving the same as they do when they fall onto your tongue. It was still fairly early in the day, though the clouds made it seem much later. Larry’s father had promised to take us out for lunch if we helped him in emptying out the garage. It was simple enough. He’d hand us something and have us run it upstairs to Larry’s mother in the study to see if she wanted to keep it or if the item could be thrown away. Larry and I made it a game, racing one another to see who could reach his mother first. Mostly we just tied, but I think I might have managed to win a time or two. Most of the boxes from the garage were filled with old baby clothes and broken toys that were old enough to possibly be worth something at auction if only they had been properly maintained. Larry’s mother enjoyed finding value in the obsolete. They had a garage sale monthly for about five years. It drove Larry’s younger sisters mad because all their toys were constantly being sold before the girls were ready to part with them. They’d toss their red little heads up in the air and call it unfair. Larry called it capitalism. By noon we had finished with the garage and were out in the truck on our way to lunch to well-known and beloved Barkley Diner. The place had these dark brown seats, which looked like leather but weren’t, and the lights were yellow-tinted which made everything look like it was lip up by a warm, crackling fire. They served the standard fare. Burgers. Fries. Eggs. Pie. It could have been swapped out with any other diner in the country and no one would have noticed. And yet it was our very own place. The historic Barkley Diner. The drive only took ten minutes from Larry’s house, but to get there we had to drive along Redwood Road, which consisted of one wide lane that stretched through the woods and down beyond the park. The road was about six miles in length though we only had to travel about two of those before turning onto Wharton Avenue, which emptied into the intersection by the traffic light that sat opposite the diner. The trees, whose bare branches lurched overhead as we gazed out the window, were coated with a light brush of fresh snow. Everything seemed frozen and icy. It was the middle of October but it looked more like December. That day entered the record books as the earliest snowfall Garner County ever received. I used to like to tell my friends that in school. It made me feel knowledgeable—powerful even. It’s strange how children grasp so tightly to what they cannot make sense of, finding importance in all the wrong places. Being hit, he said, was like sitting in one of those spinning teacups at an amusement park. The other car tried to yield as it came to a fork in the road but there was ice on the pavement and so the little sedan went barreling into the left side of our truck. We spun three or four times before hitting a tree. Larry compared the impact to a violent punch in the chest. It made him dizzy and, gasping, he looked up to see that his father’s nose was cracked and the man’s mouth had set on muttering every curse that could be called upon. Then, Larry said, he turned to me. I didn’t stir when he touched my arm. Blood had begun to seep through my hair, painting the window bright red. The impact left a thin scar up near my temple, just under the hairline, from where my skull split the glass. Larry explained that his father looked me over, but was afraid to move my arms or head. My uncle then instructed his son to run over and check on the other driver. He didn’t though. He didn’t want to leave me—he couldn’t leave me. He didn’t even want to get out of the car. So Larry’s father told him to watch me and he opened the door and ran over and called to the man in the sedan. Larry just continued to sit there. Staring. He claimed he couldn’t stop staring at me as that song continued to play and his head continued to spin. It was like the teacup never stopped turning, he said. It just never stopped. When the paramedics arrived they took me away. Larry wanted to sit in the ambulance with me but they drove us separately, claiming my injuries to be more severe. Whether Larry’s disappointment in not being allowed to go with me came from a concern for my safety or his fascination with the blood, I’ll never know. It was probably a little of both. Afterwards he swore it was because he was worried about me. He was always a rotten liar, and since I believed him it was most likely true. Or maybe I just wanted to believe him. Too much has happened since to ever really know. Larry sprained his arm in the accident, but other than that there was little harm done to him. He was always disappointed about that and at first his parents took that disappointment to be displaced guilt; they thought he felt ashamed to have gotten away with barely a scratch. But really he was just disappointed that he hadn’t experienced more. Felt more. The accident wasn’t nearly enough to settle him. The doctors did their work and were proud of my recovery, given that my injuries were more severe than they at first suspected. I received a concussion from hitting my head and one of my lungs collapsed in the ambulance. The latter actually served me well in later years. I was able to avoid my parent’s insistence that I join the soccer team that spring, and in high school it got me out of having to run the mile required to pass gym. The cold weather sometimes made my chest ache and I couldn’t breathe well after running, but those doctors considered me lucky. I could have died. Larry used to say that all doctors tell the parents of surviving patients that their children were lucky. He thought it was nonsense. There was nothing lucky about it. For years I thought I understood what he meant. Only later did I realize that I was wrong. My parent’s never let Larry’s father off the hook, even though it wasn’t his fault. The fact that guilt nearly drowned him became inconsequential. No one seemed to notice that it was only after the accident that he started drinking again. It didn’t matter, not to my parents. At the time I was an only child and my mother maintained that nothing ever scorched her soul like that phone call informing her that her lovely little girl had been brought to the hospital. It was the last time she ever took the trouble to care about me as a mother. In that respect, the accident also did me good. I knew from that afternoon that she loved me and I remembered it when she left my forty-five year old father for a twenty-six year old physical therapist in Florida. I remembered it when she stopped visiting. I remembered it when she stopped calling. For the rest of my childhood I had the comfort of knowing that for one day as I lay on the very verge of death, my mother truly loved me. That love was so strong that it scorched her soul. Some people might have needed more than that, but I considered it to be plenty. It was more than my father had. It’s more than my brother, who was only three when she left, was ever likely to receive. Larry always regretted the accident more than I did, which many thought was strange for a lot of different reasons that did not really apply. They thought he wished it hadn’t happened, but really it was what didn’t happen that disappointed him. Larry saw something in the accident—the potential for something—that he couldn’t get over. He became fascinated by it—addicted to it. The dizziness never left him and so he never stopped spinning. Instilled in him was the need to know. He was stuffed full of the cruel and compelling need to understand every aspect of it. Every vile little detail. Every curious moment. It was unfortunate really. All those years of waiting and wondering and he never shared a single answer with me, even though I was quite possibly the only one who actually wanted to understand. And he tried. He always tried to make it clear what it was he wanted to find and why it meant more to him than all the rest, but as articulate as he was, he couldn’t put it into words. It became impossible to convince any of us. Not that it really mattered when all was said and done. There was nothing worth finding in it because Larry ended up dead. It happened on a Thursday. Suicide. No one was surprised. 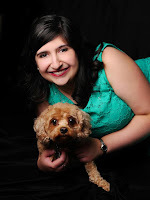 Emily Ruth Verona is the author of the novel Steady Is The Fall. She received her Bachelor of Arts in Creative Writing and Cinema Studies from the State University of New York at Purchase. She is the recipient of the 2014 Pinch Literary Award in Fiction and a 2014 Jane Austen Short Story Award. Previous publication credits include work featured in Read. Learn. Write., The Lost Country, The Toast, and Popmatters. She lives in New Jersey with a very small dog.